The putcher is a funnel shaped fishing trap made from willow and hazel. Eighteen straight rods of two to three year old withy are bound together with four or five hoops of woven willow. The open end of the putcher is 24" in diameter narrowing to 4" over its 60" length. 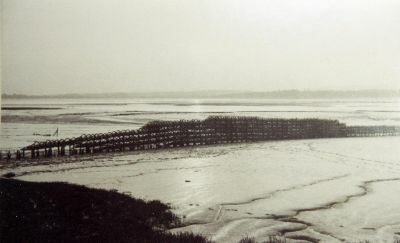 Individual putchers are grouped together to form a fishing weir. Oak, Larch or Elm poles are erected at right angles to the tidal flow out into the river. Horizontal raise form a framework onto which the putchers are attached. Putchers (approx. 700) on the Severn. The location and number of putchers forming the fishing weir depends on its Certificate of Privilege of the 1860s. Over 11,000 putchers were licensed on the Severn and surrounding area. Weirs consisted of frames of fifty baskets up to 2,400 at any one location. Most of these weirs faced upstream and would catch fish on the ebb tide. Once entering the funnel the salmon would not be able to turn and would be caught in the narrow end. As the tide recedes the putcher ranks become exposed and the fisherman would have to harvest the fish before the tide turned, once again engulfing the weir. 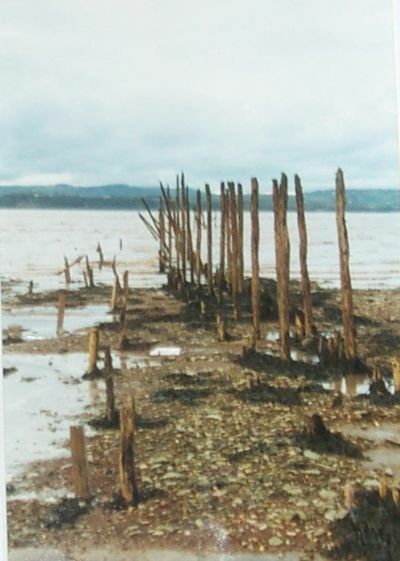 At certain locations hedges often called "leaders" were constructed from woven hazel sticks, the salmon would not be able to pass through these and in their search for deeper water would be led towards the fishing weir. What remains of Folly Weir on the River Severn. The Diddle: end section with a constriction used to catch shrimp, eels, flounders and similar fish.